Our wood burning kit is built with premium materials to ensure it's part of your hobby and crafting tool arsenal for a long time to come. Perfect for users of all skill levels. 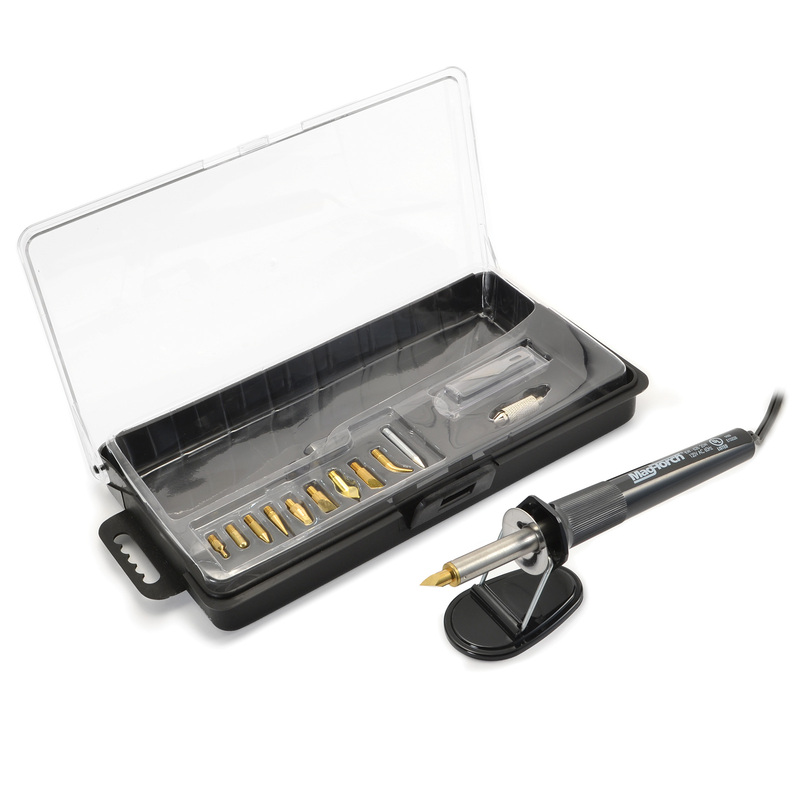 Set includes soldering tip, safety stand, mini-flow point, flow point, cone tip, tapered tip, calligraphy tip, universal metal point, shading tip, mini-universal metal point, stencil tip, hot knife and storage case. 25 watts; 110VAC.